20 Shirts. 20 Games. 20th Anniversary. On November 4th, 2017, the 20th Maroon Out game will take place in Kyle Field vs Auburn. As a tradition created and continued by students, we are honored and excited to celebrate such a special anniversary and the years of hard work that Class Councils has invested in the tradition. 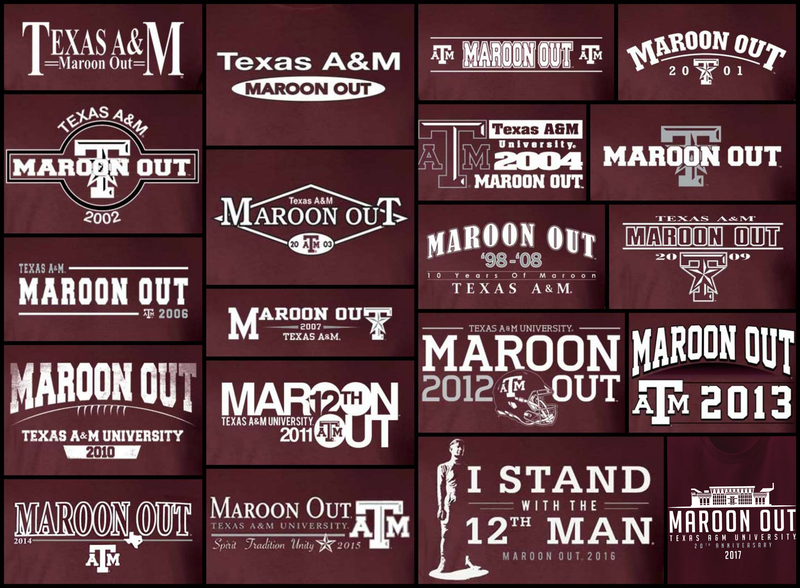 20 simple maroon shirts have been designed and sold on-campus each year to unite the 12th Man and raise money to support traditions, class gifts, and scholarships. 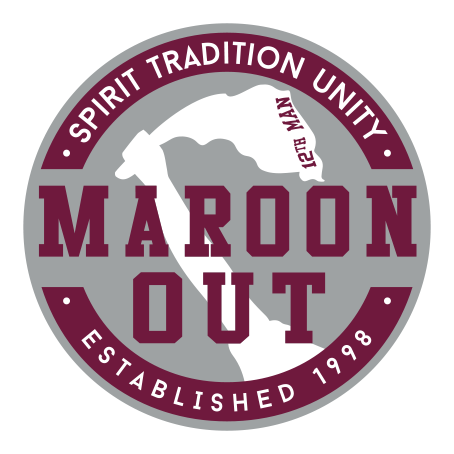 From the first Maroon Out Director, Kyle Valentine, to the 2017 Director Team this year, students invest months out of each year planning and creating the experience of Maroon Out for the 12th Man to participate in. 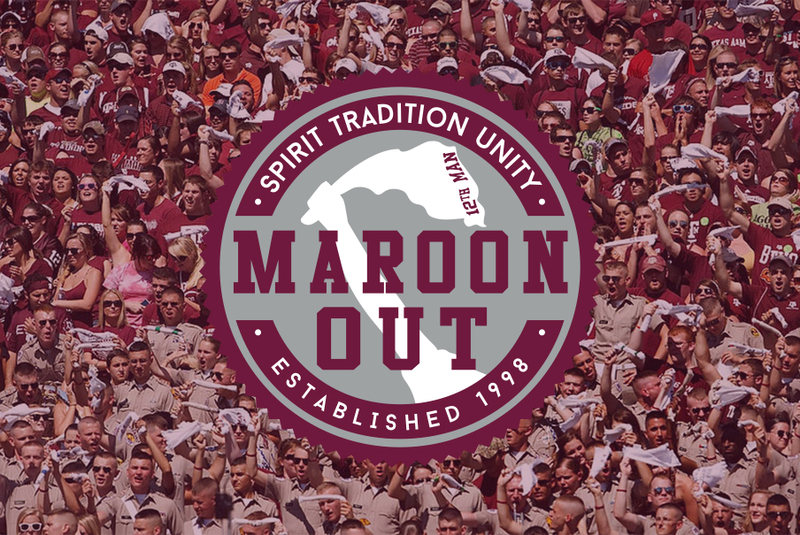 Class Councils, a representative body that strives to unite and serve Texas A&M, has had the privilege of hosting Maroon Out since it’s creation and takes pride in the cherished Maroon Out memories that so many Aggies have shared with us over the years. On November 4th we encourage you stand with us and celebrate 20 shirts, 20 games, and our 20th Anniversary. Whoop! And in-store at The Warehouse and Maroon U!